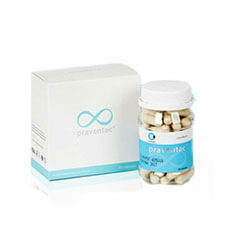 Praventac is a food supplement that commits to help you reclaim your clear, acne-free, and blemish-free skin. It deeply penetrates your pores to draw out and eliminate acne-causing bacteria. It relieves you of acne, blackheads, whiteheads and other blemishes. It fights and prevents inflammation, that includes skin irritations, swelling and redness, which can lead to permanent skin damage. It delivers an oil regulatory function that controls the amount of sebum that your skin secretes to make your skin less prone to bacteria build up and infections. It helps prevent future breakouts. Praventac– Does It Really Work? What Are The Ingredients In Praventac? Does Praventac Have Any Side Effects? Praventac – Does it Really Work? Praventac delivers an acne solution that is quite different from most other acne treatment products. These capsules are marketed as dietary supplements that work with your body’s natural mechanisms for repairing and treating your skin from acne, other blemishes, and acne marks. It delivers powerful ingredients that help boost your skin’s repair and recovery, that includes antioxidants, minerals, and components that have anti-inflammatory effect on skin. Lactoferrin: Derived from whey, this protein derivative delivers anti-inflammatory and antibacterial properties that help clear skin of acne, acne marks and blemishes to give your skin a flawless appearance. Pomegranate Extract: Rich in antioxidants, it protects your skin from further damage as it strengthens your skin matrix, making it more resistant to damage. It also helps improve blood flow. Mangosteen Extract: Also antioxidant-rich, this ingredient protects your cells from deterioration and damage caused by free radicals that cause your body to age. Take 2 capsules of Praventac daily. On the average, it takes users at least 2 months of continuous intake before results become visible. This product works to treat and prevent acne on both your face and your body. The manufacturer guarantees that this product is perfectly safe for males and females between 11 and 50 years old. This product is available for worldwide distribution when bought from the official product website. Improvements are not immediately apparent and take between 2 and 4 months before the benefits become noticeable. This product is generally not recommended for use by pregnant women and breastfeeding mothers. Although the official product website features several user testimonials, the manufacturer fails to share results of any clinical trial done to test for product efficacy and safety. Does Praventac Have Any Side-Effects? Lactoferrin derived from whey, the central ingredient of this supplement, can aggravate acne. It has also been reported to result in skin rashes, stomach upset, gastrointestinal problems, diarrhea, and significantly increase your insulin levels. There are a number of benefits that your acne-challenged skin may potentially derive from Praventac. However, there are also several potential side effects that you may experience, particularly with long-term use. You must weigh the consequences versus benefits, and don’t miss out on the opportunity and compare with other acne solutions first before buying. Keep in mind that your results may be unique to other users. What is the Price of Praventac? 1 bottle of Praventac costs $60 excluding shipping fees. Where to buy Praventac? Praventac is available via the manufacturer’s official product website. Special discounts are available on the product website for bulk orders. In the USA, this product may be bought on Amazon. Does Praventac come with money back guarantee? No, there is no mention of a money back guarantee. There is a return policy which covers defective items only. Is Praventac approved by the FDA? Praventac is not FDA-approved. The manufacturer is not compelled to present proof of efficacy or to seek FDA approval. Although its key ingredient, whey protein, has received the FDA approval for being Generally Recognized As Safe (GRAS) ingredient. Who Should Use Praventac? Praventac is for women and men who are still suffering from acne, those who want to fade acne scars, and those who continue to be at risk for acne. Should I use the Praventac once or twice daily? The manufacturer recommends taking 2 Praventac pills daily for the best results. How long does one bottle of Praventac last? There are 60 capsules in 1 bottle which should last you for a month. How long will results last? Improvements resulting from product use will last depending on how well your skin responds to this product. 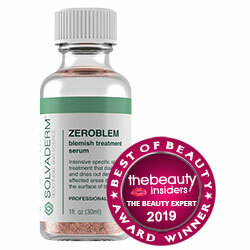 Some users may need to keep taking this supplement after acne has been cleared to help prevent future breakouts. Can I use the Praventac with makeup? Yes. You can use this product under makeup. Allow the product to become fully absorbed before layering with your cosmetics.